Distributor / Channel Partner of a wide range of products which include floor disinfectant, floor cleaner, kitchen sanitizer, hospital disinfectant and kitchen cleaner. Our offered Disinfectant are immensely popular for their accurate chemical composition, enhanced shelf life, effective results, precise pH value and purity. 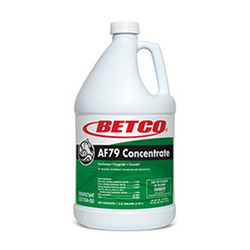 Its nonacid formulation is designed to clean, disinfect and deodorize hard inanimate surfaces in a restroom. Our offered Neutral Floor Cleaner And Disinfectant is excellent for use in larger areas such as operating rooms and patient care facilities. This concentrated multi-purpose, germicidal detergent and deodorant, disinfects, cleans and deodorizes hospitals, nursing homes, schools/colleges, commercial and industrial institutions. Our offered Hospital Disinfectant are created with a focus on new health strategy in government, academic and military medical facilities. This is absolutely safe in use as it is formulated in the most hygiene environment using excellent grade chemical compounds. 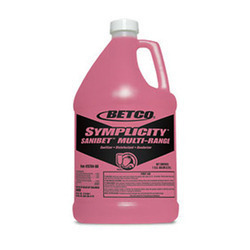 This easily cleans, disinfects, and deodorizes at its application. 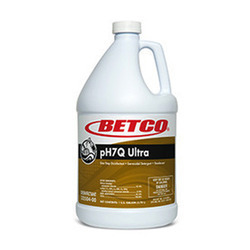 A highly concentrated EPA Registered Quaternary, no-rinse multi-range (150 - 400 ppm) sanitizer for third-sink sanitizing of dishes, glassware, silverware, and cooking utensils. 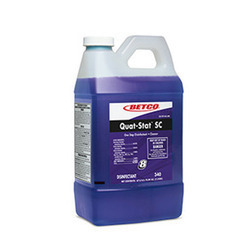 Used in sanitizing hard (nonporous) surfaces, such as chopping blocks, cutting boards/blocks, dining tables, food service equipment and countertops. 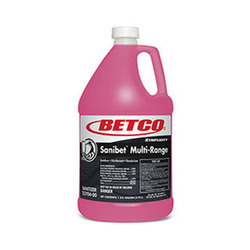 Simplicity Sanibet Multi-Range sanitizer delivers easy sanitation compliance with an expanded use-concentration range of 150 - 400 ppm to assist meeting regulatory requirements. Other applications include sanitizing and disinfecting floors, walls and other pre-cleaned non-porous surfaces.